The entire staff at the office are friendly, polite, and helpful. Devin in particular was super communicative and informative.He is also very conversational which helped me relax and feel comfortable. The entire staff at the office are friendly, polite, and helpful. Devin in particular was super communicative and informative. He is also very conversational which helped me relaxand feel comfortable. I was very happy with the treatment I received at the office, both with the office staff, and the dental staff.I will definitely be going back! Thank you! I was very happy with the treatment I received at the office, both with the office staff, and the dental staff. I will definitely be going back! Thank you! Dr. Berger is a talented and caring dentist who uses modern techniques in the field of general and cosmetic dentistry. 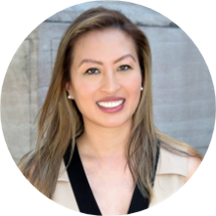 She completed her degree in Doctor of Dental Surgery (DDS) from the New York University College of Dentistry and her residency at St. Luke’s-Roosevelt Hospital, where she is currently an educator and serves as an Attending. Her passion for dentistry brought her oversees to help third-world countries gain access to dental health. Based on her belief of a dental practice where she envisioned patients receiving individualized and premiere care in a boutique setting, Dr. Berger puts her heart into Coliseum Dental. Named in "America's Top Dentists"
The staff was up front and spent time explaining procedures and cost. The hygienist took lots of time and care cleaning my teeth and explaining exactly what she was doing. Never did I feel like they needed to rush me in and out like at previous dentists I’ve been to. Nice office anddidn’t have to wait for weeks to find an appointment! I've been going to Dr. Berger for almost 10 years she's the best very caring and I would highly recommend her to anyone. Their hygienist had the most gentle touch while cleaning. I was looking for a new dentist as I had quite a bit of work to be done but was unhappy with my previous situation. I was unsure at first because of a phone miscommunication in setting up the initial appointment,but once there, the staff was extremely helpful in making the first appointment process painless (they use Zocdoc which allows you to fill all your forms out online before-hand - a big deal for me). The facilities were clean and state of the art. Stephanie, the hygienist was attentive and did a great job with the initial cleaning and Dr. Berger was thoroughly pleasant and professional. She mapped out a treatment program and discussed each facet with me so I understood each step and provided alternatives where applicable. I particularly love that because my last dentist scheduled me for a bunch of work I found out later I did not need. She also provided pain management options and made the whole thing much more pleasant than I thought it would be. Fantastic experience. Everyone was super friendly. Cleaning and examination were quite thorough, and a full explanation was given. Looking forward to my next visit (as ironic as that sounds). Great first visit! Thorough exam and explanation of what's going on with my dental health. The treatment was very professional and they were helpful, however, the within the first day the filing had cracked and needed to be replaced. I have just seen another dentist for my check up who has shown that the new filing has also chipped and will need to be redone. I don't reagularly visit the dentist since I have had not good experiences in the past. However Dr. Berger and her staff were very kind at all times and made me feel comfortable. The hygienist was extremely through and lovely. She was very knowledgeable and answered all of my questions without hesitation and offered solutions and assured me that I could think about any extra procedures that cost more money withoutpressuring me to sign up. The Dr. Berger was also very personable and knowledgeable. She gave me a referral to an oral surgeon for a problem that she wasn't certain about. The receptionist was also extremely helpful and called me back a couple of times to make sure that I had an appointment time. Whole experience was great. Both the doctor and dental assistant Rosa were excellent. Very friendly and seemed to be very skilled. Office staff and hygienist were great. Doctor was nice, careful, if not a bit quick. Would definitely recommend. Very friendly staff. They made me feel very welcome (this was my first visit). Dr Berger did not seem rushed; she gave me plenty of attention and answered all my questions.